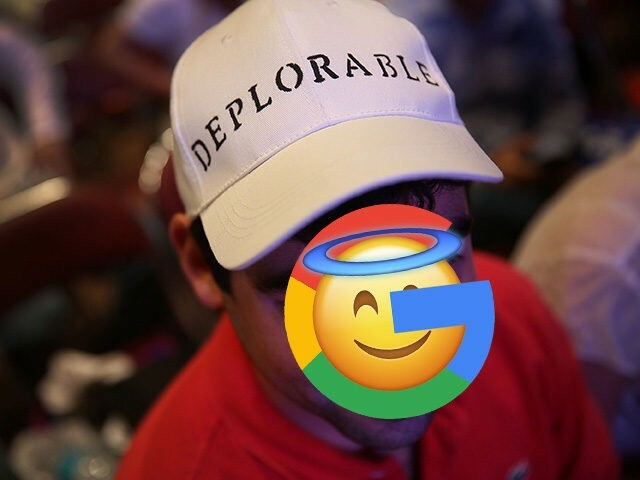 In “The Good Censor”, an 85-page briefing leaked to Breitbart News from inside Google, the company blames a range of user behavior including ‘cyber harassment,’ ‘cyber racism’ and ‘venting’ for eroding ‘utopian’ belief in online free speech. 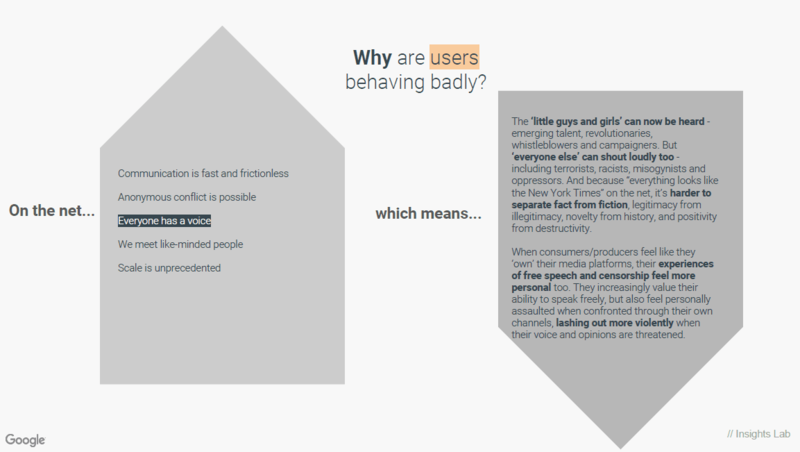 The briefing identifies “users behaving badly” as one of the reasons for tech companies’ “shift toward censorship.” It can be read in full here. On pages 25-35, the document runs through a list of “bad behaviors” that Google uses to explain the rise of Silicon Valley censorship. One of the behaviors identified by Google is people simply expressing their feelings. The briefing also warns of the dangers of anonymity, claiming “we’re keener to transgress moral norms” due to the lack of repercussions for speech. The document complains that “minority groups once pushed underground by public opinion of their abhorrent views have discovered a safer space in which to communicate.